There are different ways you can go about trying to boost your reputation, but one of the best ways is with a funeral home answering service. When your focus is serving others, you have to cater to the needs of the people that trust you with the final farewell of their loved ones. Below are a few ways that a funeral home answering service can help boost your reputation. You can’t be available all the time, but death is untimely. You can get a first call at any hour, whether you're at the funeral home or elsewhere. 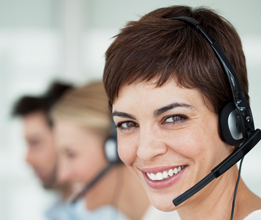 An answering service for funeral directors is a handy tool to make sure that every call is answered. You have to think; would you rather have a reputation for always answering your phone or people not being able to reach you and leaving messages, waiting to be called back? Answering services have availability whenever you need them and can man your phone lines around the clock. The very nature of what you do is providing support for people during their time of grief. Sympathy and kindness to your families are essential to your funeral home. Answering services that cater to funeral directors understand what your families need, what they expect, and how to deal with them on a level that makes them feel comfortable and takes into account their state of mind. A funeral home answering service boosts your reputation with call specialists that fully understand the needs of your funeral home and your families. Valid and timely information is also essential to the families that call on your services--both the information you give them as well as the information they give you. An answering service can ensure that your families know everything they need, from payment to hours and location, and that you'll have what you need to oversee their funeral arrangements. Your reputation is riding on the funeral service going smoothly. In this age where information and communication are instant and people share everything from what they ate to who mowed their lawns, your reputation among your community and those that would use your funeral home is more important than ever. With a funeral home answering service, you can provide your families with an experience that they (and you) would be happy to share.